In spite of having so many sophisticated tools like emails, calendars, notifications, planners, Gantt charts, and more at their disposal, project managers still struggle to plan and deliver work on time. Their team’s lack focus, understanding when tasks need to be done and by whom, and fail to see the big picture of the project. And yet, they see process models and visual workflows as time-consuming, rigid, complicated, and providing mundane results at best. However, in this post, I want to show you why collaborative visual workflow management provides a solution to those problems. Ready? Let’s do it then. Back in the 1940s, Toyota managers felt stuck. Their production system proved to be inefficient, resulting in suppliers making excess parts and aggravating costs without any significant improvement on processes. Luckily, an engineer (and later, the company’s vice-president) named Taiichi Ohno suggested the company should apply a management method he observed at supermarkets. He noticed that store clerks would only restock an item if it were nearing out of stock status. In other words, they’d never order more items than their customers demand. 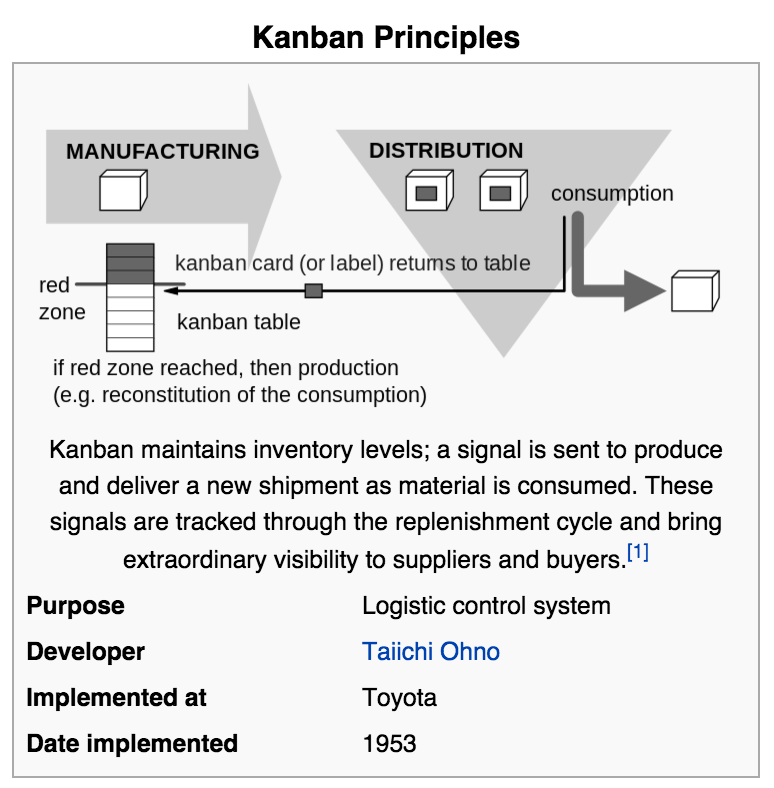 This process sparked Ohno to invent a new system called Kanban, using cards and visual processes to signal and plan steps in the production process. The system focused on a visually communicating the work that’s needed to be done and then introduced better organization while reducing the waste. Although Kanban is often considered one of the first visual workflow, half a century before Ohno’s realization, Adamiecki and then, Gantt began adopted a visual system that breaks down activities into a hierarchical structure and draws a connected (sometimes explicit, sometimes implied) flow. And even before that, the work of Frederic Winslow Taylor, although not directly linked to visual processes, focused on breaking down a process into discrete steps of a workflow, had a massive impact on industrial production we know today. Kanban is widely considered the first visual workflow system, allowing to visualize the entire project and presenting the steps required to push the project from the initial idea to completion. PERT – Developed in the late 50’s to help the US Navy manage the Polaris project, the framework characterizes in allowing for randomness in activity completion times. As most other visual workflows, it requires the previous task to be completed before allowing to move to the next one. Critical Path that focuses on listing the sequence of activities in the project from start to finish and allowing for many critical paths to interweave. Flowchart, in which you create a diagram showing steps in a project as boxes of various kinds and their order and dependence by connecting them with arrows. Business Process Model and Notation (BPMN) is a graphical workflow for specifying business processes in a business process model. First, they are mostly developed by experts without involving people who execute tasks in the process. As a result, the project plan often takes a more theoretic approach, disconnected from processes required for the actual execution. Second, because of the lack of involvement from executing teams, they institute a rigid and slow process of development, and create a discrepancy between the plan and work that needs to be done to achieve it. The Agile Framework was introduced to address some of these issues. In the Agile framework, one plans the project by focusing on individual objectives, broad goals that needed to be completed, and key results, specific ways to measure the objectives. The Agile framework works particularly well for teams as it allows to define strategies for the entire team as well as all individuals involved in a project and provides metrics for evaluating their output. However, even though Agile improves the keeping track of a team’s tasks, it has several limitations too. The framework fails to describe how individual tasks relate to the overall project objectives. It also fails to highlight the dependency between tasks and the actual logical flow of work to be done to complete the project in the most efficient way. As a result, it’s easy for the Agile teams to become short-sighted, focusing on their tasks without consideration of the purpose and the method they employ. 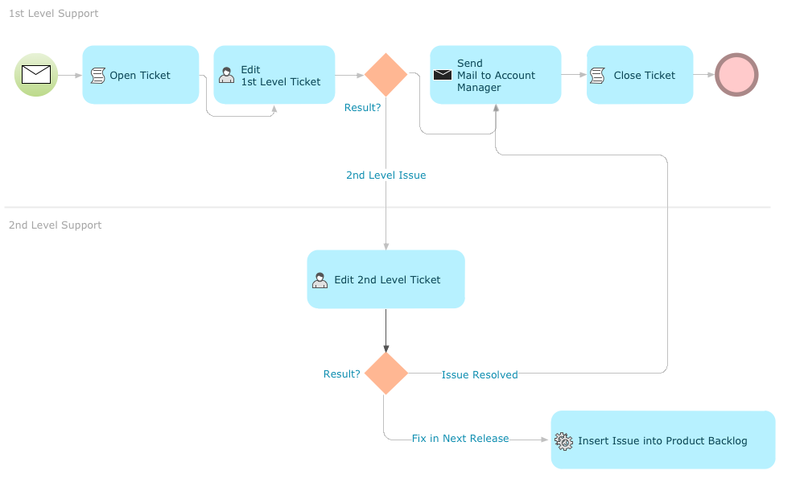 Visual Workflows allow to plan, view, and also understand your processes and tasks. But they often fail to deliver successful project plans without including the do-ers, people closest to the actual execution. That’s what collaborative visual workflows allow achieving. 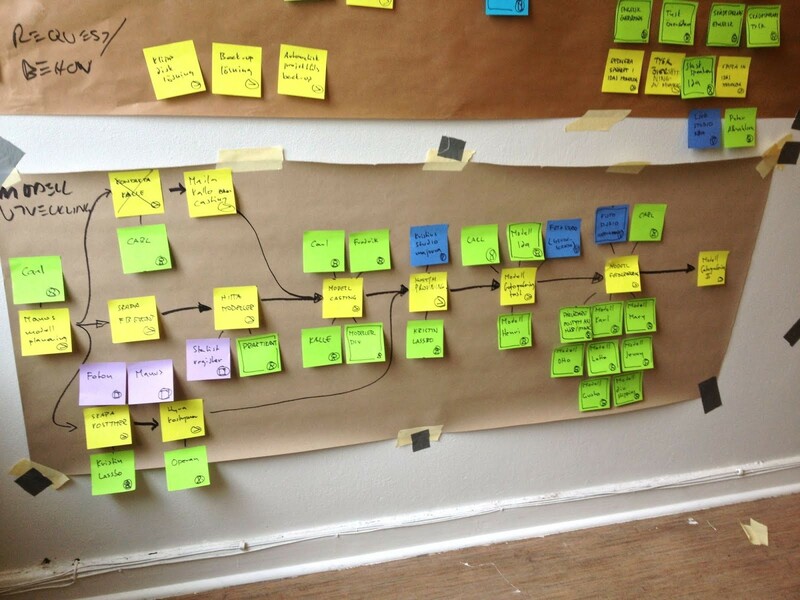 In these workflows, every person involved in the project maps out their tasks. These are then later connected and interweaved with others, creating a full overview of the project at hand. 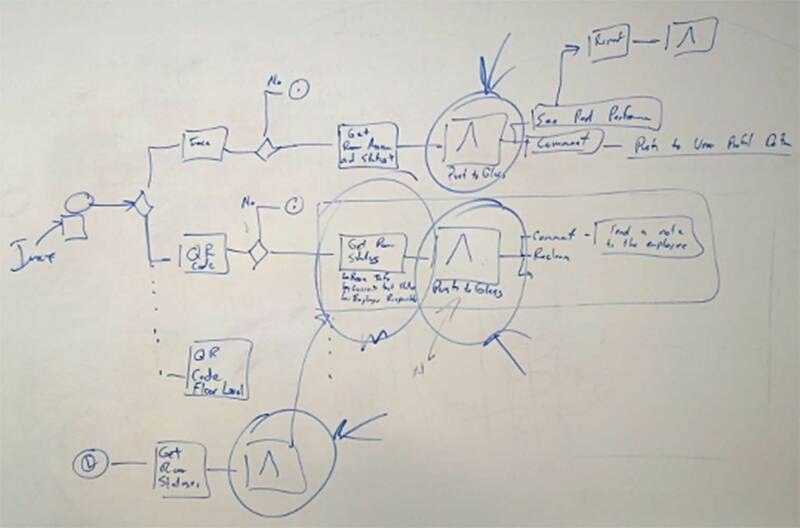 You can draw your workflow on a whiteboard, for example. Or stick Post-it notes on the board to denote activities and tasks. Or use dedicated software like Dreamler. You create nodes to represent activities and tasks that need completion. If you can, add images to the nodes to make them easier to understand. Finally, you can attach resources to them to represent what each activity requires for completion. Then, you connect them with links to visualize their relationship within the project. Collaborative visual workflows help define the full scope of a project. 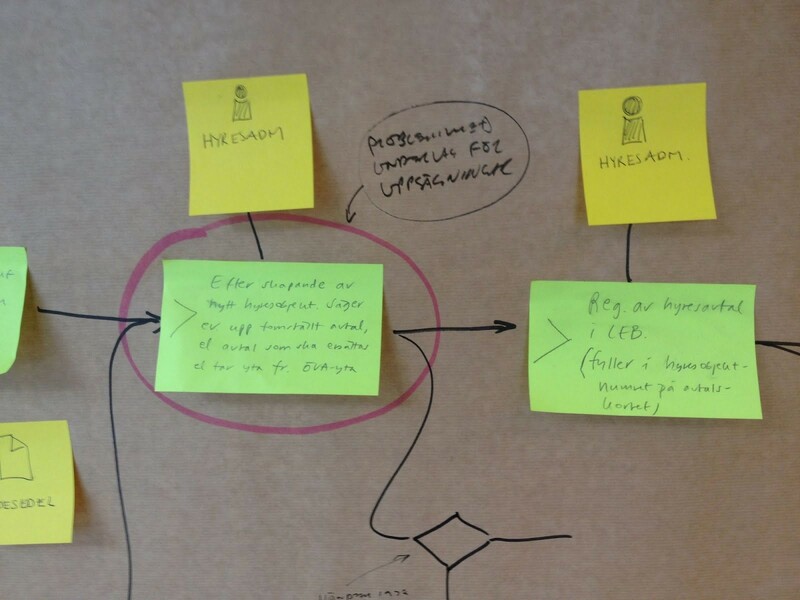 Describing the project as a visual flow of tasks and activities helps teams develop the true representation of the entire project. They also help teams understand the actual/full complexity of their tasks. By showing relationships and dependencies between tasks, teams can see the full scope of everything they have to do. Plus, they can easily spot and eliminate potential bottlenecks. Collaborative workflows help prioritize work. 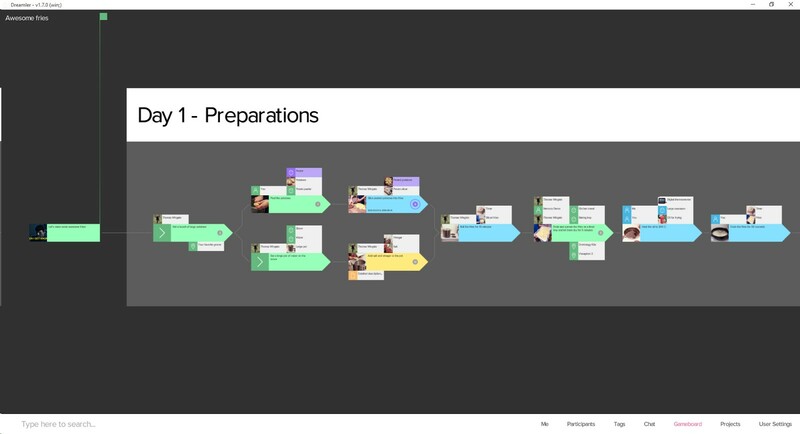 One of the biggest advantages of visual workflows is their presentations of tasks form directed flow towards goals. This makes it much easier to work on the right things in relation to where you want to be, rather than the first obvious task at hand. They reveal the logistics of execution. Collaborative planning helps define who needs to do what and from whom to execute their part. For many people, the project’s “aha!” moment comes only when seeing their actual process presented visually. And finally, collaborative workflows allow everyone to benefit from each member’s respective expertise. In spite of so many tools at their disposal, project managers often struggle to plan and deliver work on time. If the same happens to you, try incorporating collaborative visual workflows to define the full scope of the project, help everyone identify and understand their tasks, see how their work affects the entire project, and benefit from other members’ expertise. 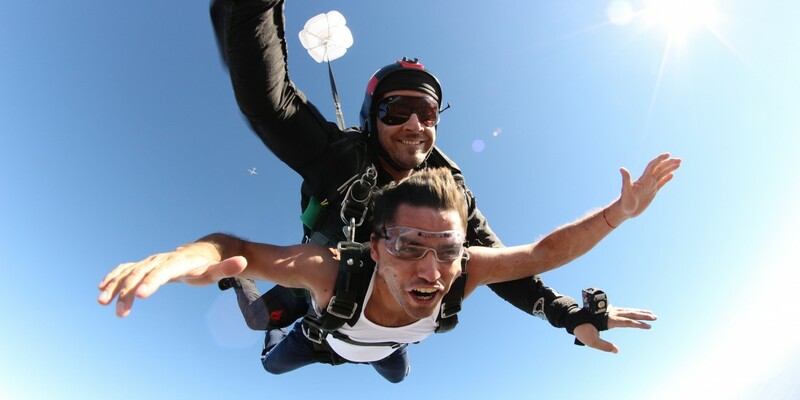 Pawel Grabowski is a freelance web copywriter working exclusively with SaaS and software companies. He honed his project management skills while running a software company where he had to manage numerous development projects simultaneously. You can find out more about him at http://smashingcopy.com.